MANILA, Philippines – The much anticipated Miss World 2018 Finale happens Saturday, December 8, as 118 delegates converged in Sanya, Hainan Province in China. View on this page for the list of winners, live updates and how to watch online (livestream) and on TV (Philippine time). Congratulations to Miss Mexico Vanessa Ponce De Leon, the newly crowned Miss World 2018! 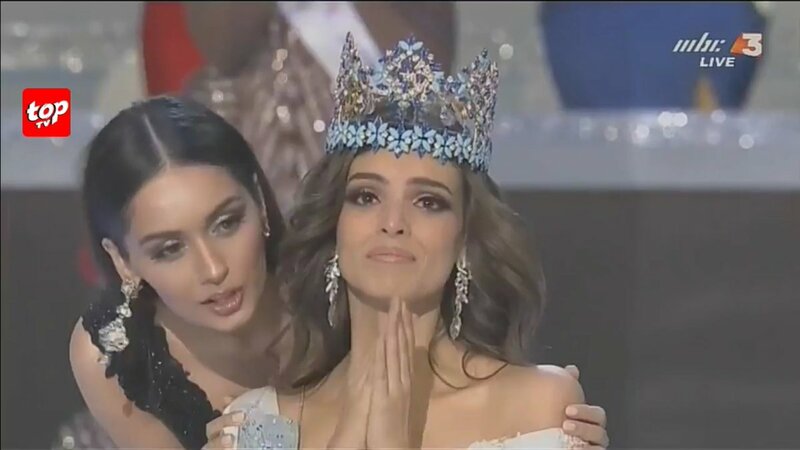 Miss Mexico Vanessa Ponce De Leon was crowned as Miss World 2018 by last year's titleholder Manushi Chhillar of India. Miss Mexico Vanessa Ponce is the new Miss World. Photo courtesy of Miss World website. Miss Thailand Nicolene Limsnukan received the 1st Runner-Up award. Maria Vasilevich of Belarus, Kadijah Robinson of Jamaica, and Quiin Abenakyo of Uganda entered the Top 5 as continental queens of Europe, Caribbean, and Africa respectively. Solaris Barba of Panama took Vanessa Ponce's title as Miss World Americas. Meet the new Continental Queens! Photo from Miss World website. Meanwhile, Miss World Philippines Katarina Rodriguez, failed to make it past the first cut of the pageant. Live broadcast of the pageant is up via pay-per-view www.missworld.com. However, livestream would not be available for the Philippines stating "cross-origin policy error." Filipinos may watch the grand coronation night of Miss World 2018 via delayed telecast at 10:15 pm on GMA 7.